Find what is filling up the hard disk space? This free software named FolderSize does a great job with simple interface. And the best part is it’s available as portable software, so you can carry it in your USB disk. FolderSize is intended to be a simple application to determine what folders takes up place on your machine and to present it to you graphically. While ago I blogged about Windows 7: Turn your Laptop as Wireless Router (Wi-Fi Hotspot) using netsh commands. Now I found there is a free software named Connectify does it for you in few easy clicks. Connectify is an easy to use software router for Windows 7 computers. After downloading and installing the lightweight application, Connectify utilizes your computers’ built in Wi-Fi card to wirelessly share any available Internet connection: a cable modem, a cellular card, or even another Wi-Fi network. Other Wi-Fi enabled devices including laptops, smart phones, music players, and gaming systems can see and join your Connectify hotspot just like any other Wi-Fi access point and are kept safe and secure by password-protected WPA2 Encryption. 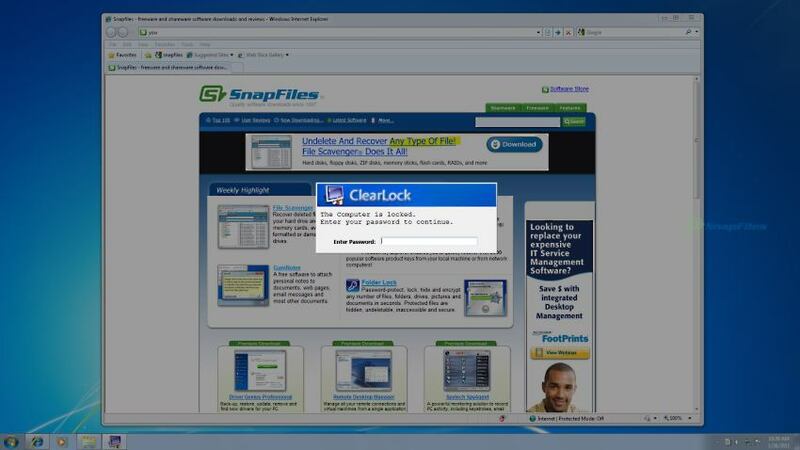 ClearLock provides a convenient way to lock your desktop with a transparent layer, allowing you to see what’s happening on your desktop and at the same time prevent access to the computer without the proper password. ClearLock comes as standalone executable, just run it, set your password and click the ClearLock icon whenever you want to lock your screen. To reset your password, simply delete the .ini file that was created in the same folder. ClearLock is designed to prevent others (e.g. your kids) from casually messing with your desktop, while keeping your desktop visible at the same time (unlike the Windows CTRL+L function), the program is NOT intended to be used as a security system – computer savvy users can bypass the lock.